Camping doesn’t have to mean all your meals start with a can opener. 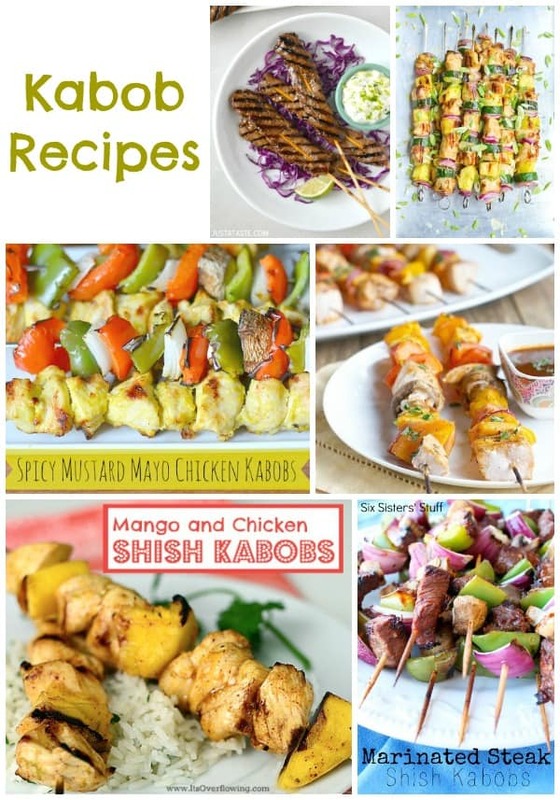 Sure, hot dogs and beans can fill your belly but wouldn’t you rather try these delicious kabob recipes? With a little bit of planning, you can have your own little gourmet camping meals even while you’re “roughing” it! For even more fun ideas for camping recipes, camping parties, camp activities and more, visit our special Camping category. This is a collection of ideas from other talented bloggers and experts in the kitchen. To view the full recipe for each, simply click on the title of the recipe and it will open in a new window for you. 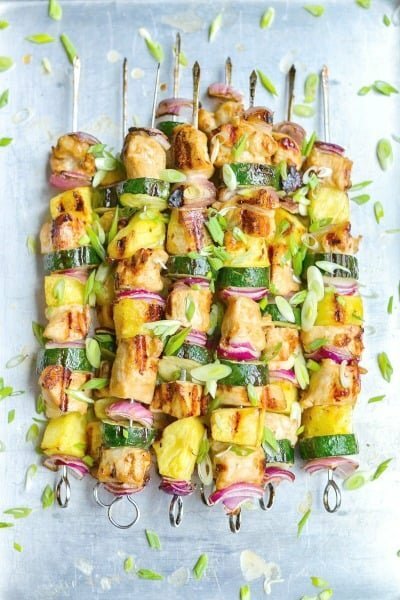 This Sweet & Sour Chicken Kabobs recipe (pictured above) featured on Bright, Bold and Beautiful is my type of meal! This is a delicious way to eat your recommended daily amount of vegetables as well. 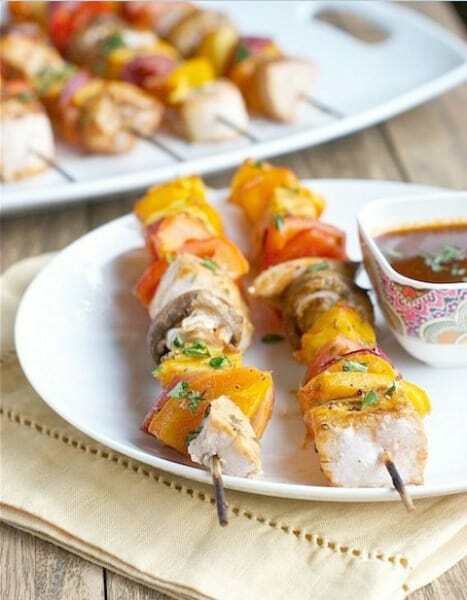 These Grilled Chicken Skewers with Asian Flavors by Apples & Sparkle look really healthy. I bet this is a recipe that my husband would ask for over and over again. 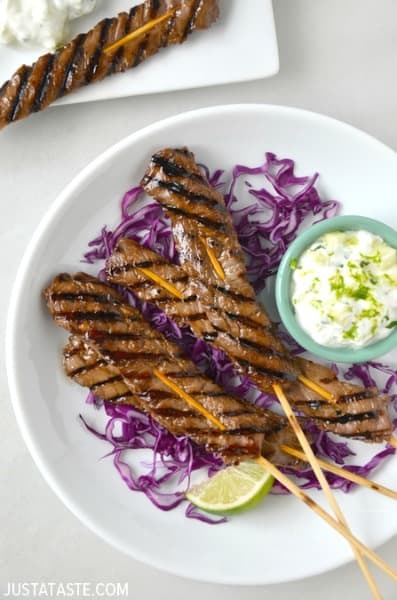 These 5-Spice Beef Kabobs by Just A Taste look really yummy and I’m eager to try the cucumber yogurt dip. 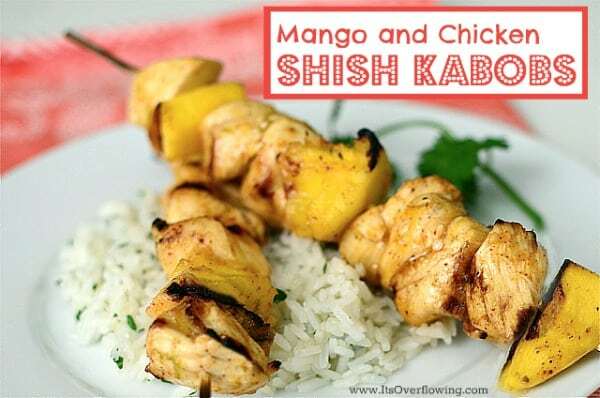 These Mango and Chicken Kabobs by It’s Overflowing look really easy to prepare. You can make this marinade at home and bring the marinating chicken along with you to put on the grill later that night. 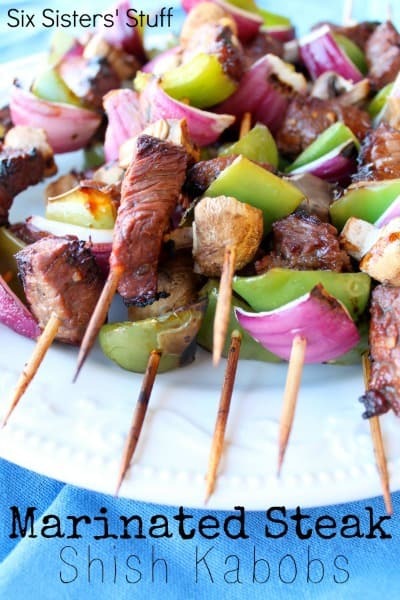 These Marinated Steak Kabobs by Six Sisters’ Stuff look like they are juicy and full of flavor. 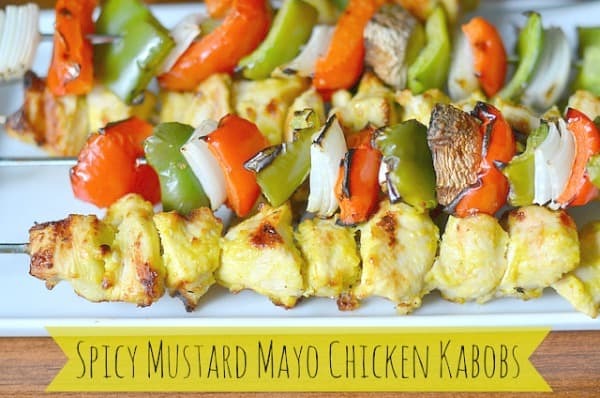 These Spicy Mustard Mayo Chicken Kabobs by The Vintage Mom are sure to be a hit at your summer BBQ party. 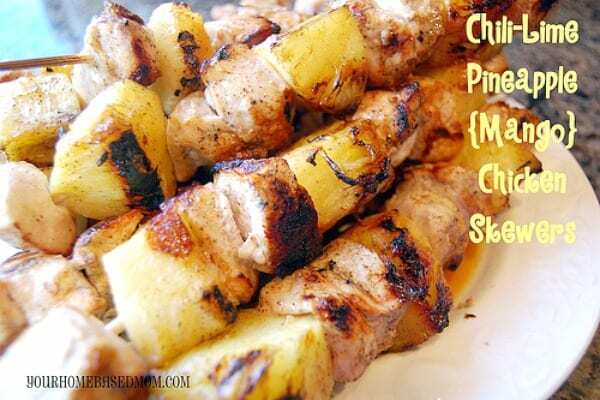 I love a chili-lime combo so I’m sure I’d like these Chili-Lime Pineapple Chicken Kabobs by Your Homebased Mom. Don’t forget to visit our special Camping category for even more delicious ideas.